Lima beans are nutritious legumes grown widely for their seeds, popular as vegetables. It derives its name from Peru’s capital Lima and its scientific name is suggestive of its half-moon like form. 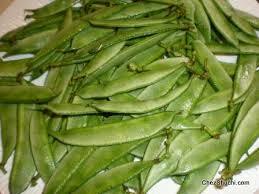 It is known by various regional names, for example in Hindi Lima bean is called Sem Phali. Some other names of Lima beans are pallar beans, butter beans, Burma beans and giffin beans. The pods have a range of minerals and vitamins which make them healthy. The tender beans taste the best and with few spices and just onion and potatoes . The sabzi goes very well with any Indian bread of your choice. In a wok / kadahi or / pan heat oil add mustard seeds, when it starts crackling add onions , sauté the onions till translucent. Add ginger and cook for a minute. Add chili powder , turmeric powder, coriander powder and cook for few seconds. Add sem ki phali / broad beans and cubed potatoes, mix well, cover and cook on low flame. Cook till potatoes are well cooked and soft . Serve hot with any Indian bread of your choice. The beans help in lowering cholesterol which in turn keeps the heart in good form. Plenty of magnesium and folate is contained in the beans which are highly instrumental in preventing peripheral vascular disease and heart attacks. For augmenting blood flow along with oxygen all over body, magnesium is an important substance which is contained in them. Iron deficiency during menstruation is a common problem which can be solved by having these iron-rich beans. High metabolism and energy production are other benefits of consumption. Diabetic patients who are resistant to insulin can get benefitted as these beans can balance blood sugar. If you are tacking weight gain, lima beans are exceptional to reduce weight as they are fat-free. They provide the body with the necessary fiber which eases constipation. As they do not increase blood sugar level after eating them, people with hypoglycemia are safe to consume them. For those refraining from meat can get their daily dose of protein from a cup of lima beans. Having food less in sodium helps you against blood pressure problems and these beans are ideal for that. Presence of copper helps the liver to function properly and provide antioxidants which equips the body to fight diseases. It keeps cholesterol away and provides energy to the body. Lima bean soups are the best healthy choice as they provide you with all the necessary nutrients when cooked with other vegetables. They can be added to corn tortillas and a topping of avocado bd tomatoes would make them truly delectable. For making sandwich filling, you can blend lima bean puree and garlic in chopped form. Cook lima beans with sweet potatoes and have it with fresh vegetables and rice. In a number of cold and hot varieties, these beans can be used, for example salads. For maintaining strong bones, calcium and manganese works wonders, which are present in the beans. In Japan, a paste made of Lima beans is called “shiro-an”. Medicinal implication of these beans would be in the treatment of skin warts as it can produce antibodies which protects against viruses. Wonderful !! 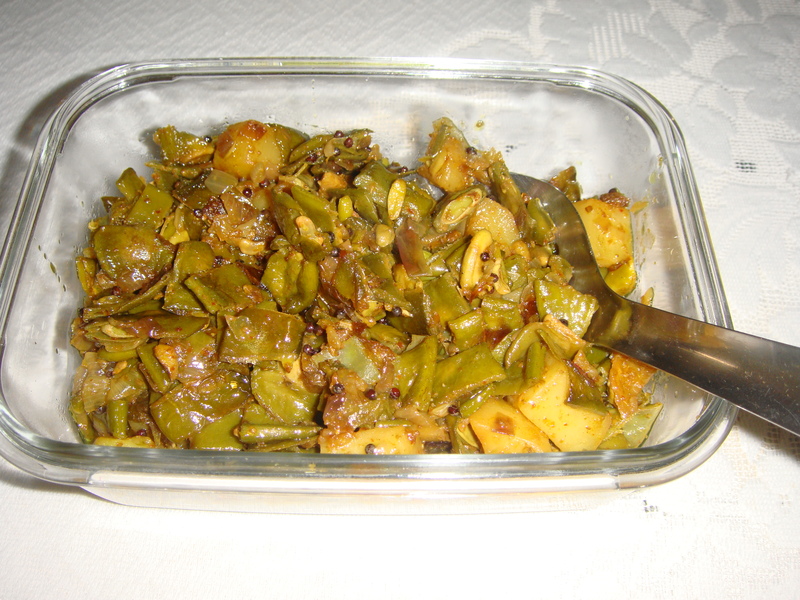 Its extremely simple but very delicious green vegetable got cooked in no time!